Looking for an accessory that not only adds functionally but also looks completely wicked? Look no further as the Westin HDX Drop Steps provide an additional 2" of stepping area compared to other steps on the market. Not only that but they look completely amazing on any truck or Jeep. Keeping the customer in mind, Westin crafted these top of the line steps to add secure stepping and head turning capability. Coated in a textured black powder-coat, each set of steps is constructed from a durable steel into a solid one piece construction. The stylish notched design, help to make these bars stand out. The heavy-duty plates offer a higher traction stepping area to eliminate any slipping as you step up into your vehicle. Adding instant style and endless function, you really cannot go wrong! 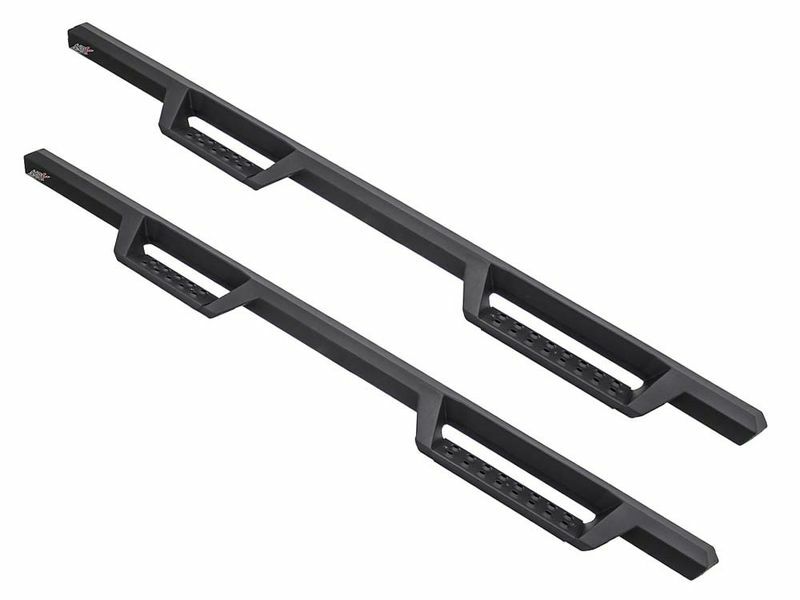 Westin HDX Drop Steps are backed by a three year warranty. Installing these bad boys is a piece of cake as all mounting hardware and brackets come in each box. Honestly, what are you waiting for? Amplify the look of your truck today!